128587434X -More than one million readers make UNDERSTANDING NUTRITION the best-selling introductory nutrition book on the market today! Now in its 14th Edition, this book maintains the quality and support that discerning readers demand in nutrition applications and science that are ideal at introductory levels. New and updated topics refresh every chapter, along with the emphasis on active learning, assignable content, and integrated resources that help you advance your knowledge and career. Connecting with you through an approachable writing style, UNDERSTANDING NUTRITION, 14th Edition includes twenty chapters on topics such as diet planning, macronutrients, vitamins and minerals, diet and health, fitness, life span nutrition, food safety, and world hunger, among others. 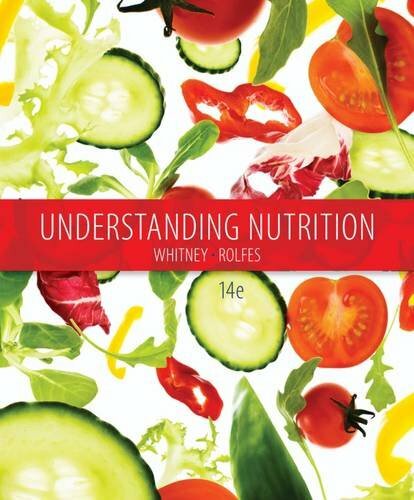 Combined with a carefully developed art program and a variety of interactive activities, UNDERSTANDING NUTRITION, 14th Edition continues to set the standard for introductory nutrition texts.